Our next meeting will be held on Wednesday 13 November 2013 at 7.45 am for 8.00 am in Alexander’s Restaurant, Best Western Scores Hotel, St Andrews. The cost of the meeting will be £10.50 per person. As usual any guest who may be thinking of joining the Club will be welcome free of charge. Our guest speaker will be Vivien Collie, Director, Vivid Ideas and Solutions Ltd.
Vivien has over 20 years’ experience in the fields of economic development and partnership working. She is a qualified town planner with an additional business degree and a professional marketing qualification. Vivien is also a trained mediator and facilitator. 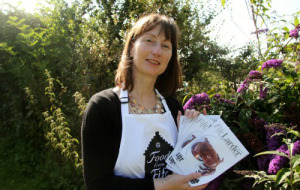 Vivien is also a director of the Fife Food Network. This is a not for profit company established to help local businesses work together to promote food and tourism activities in Fife (www.foodfromfife.co.uk). She is also Chair of the Local Tourism Association, and an active member of her local business association and her sustainable town group. Vivien is going to talk to us about the importance of the food and tourism sector in Fife – and the aims, objectives and business opportunities of the St Andrews Food and Drink Festival which takes place in November this year.